When you’re looking at Dutch ovens, should you choose Le Creuset or Staub? In order to find out which brand is best, we’ll examine several top products and go over the basics of how Dutch ovens work. A Dutch oven is a cast-iron cooking pot with thick walls and a tight-fitting lid. It’s notable because the pot itself stores heat and traps it inside. In olden times (before gas ovens were commonplace), these were very useful for heating food for long periods of time. Because the pot traps heat on its own, it helps cook food evenly with an uneven heat source. It also ensures that food stays warm when you remove the pot from the fire. Do I Need A Dutch Oven In The Modern Era? Truthfully, the answer here is “no.” If you’re on a limited budget and you don’t cook acidic soups, stews, and other slow-cooked dishes very often, you can easily do without a Dutch oven. Moreover, other kitchen appliances (like slow cookers) can do a pretty similar job without needing to use your oven at all. That said, there is a special niche that an enameled cast-iron pot can fill. When it comes to heating up acidic dishes for a long time, there are few containers that will outperform a real Dutch oven. This is because acidic foods (including tomatoes, wine, and lemons) will wear down a stainless steel cooking surface over time. If you plan to slow-cook these kinds of food often, you’ll definitely want some sort of enameled pot. What’s the Difference Between a Dutch Oven and a French Oven? It’s just a marketing term. The brand is based in France and wants to push its version of the name for whatever reason. It’s not commonly used outside of Le Creuset marketing. Why Do Dutch Ovens Cost So Much? Honestly, Le Creuset and Staub are two of the pricier brands when it comes to Dutch ovens. This price comes with several upsides, however. Both brands use very high-quality controls when it comes to sourcing their materials and constructing their products. 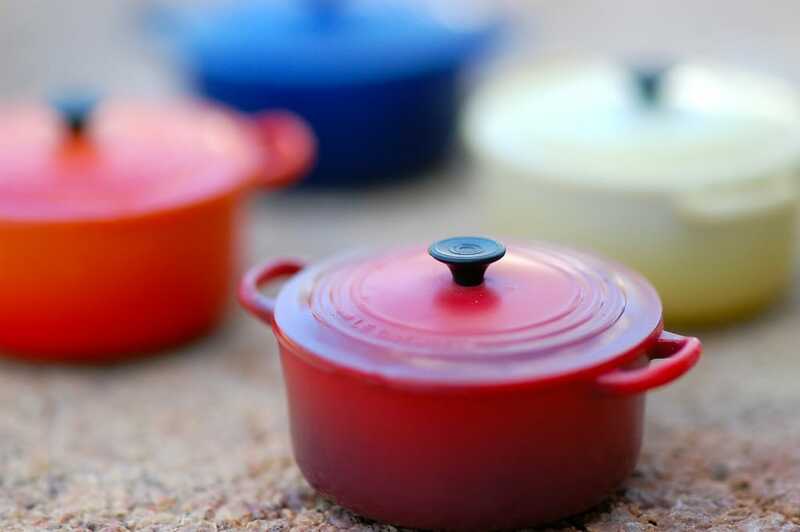 They offer very generous warranties, they have great customer service, and they use very thick layers of enamel, meaning that your Dutch oven will be extremely resistant to wear. Perhaps the biggest reason that Dutch ovens are fairly pricey is that they last a really, really long time. Well-made Dutch ovens are usually in excellent condition after a decade. This means that when someone chooses to use their lifetime warranty, they might be replacing a product they bought quite a long time ago. How Do Dutch Ovens Made By Other Brands Compare? You can pick up enamel-coated cookware from lots of other brands, including Tramontina, All-Clad, and more. The big difference between these products and a Staub or Le Creuset is quality. They’re very, very good at this task, and they make extremely high-quality products. When you choose a brand that only dabbles in Dutch oven production, you’ll often get a cheap Chinese product that simply has that brand’s name slapped onto the side. Even if it’s made in-house, that company almost certainly has less experience making Dutch ovens than Staub or Le Creuset. What’s The Difference Between Staub and Le Creuset? Truthfully, both brands are very comparable. 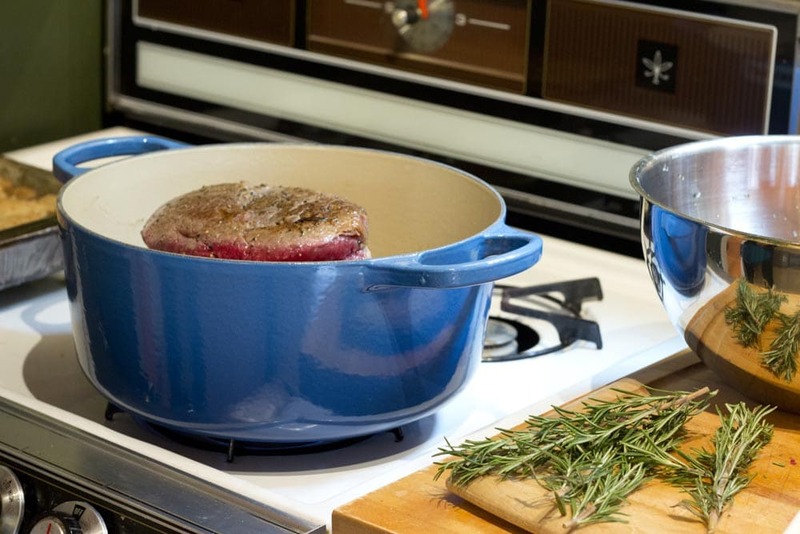 Both Staub and Le Creuset produce extremely high-quality enameled cookware. Both offer excellent warranties and customer support, and both have very tight quality controls. No matter which brand you choose, you’ll get a durable piece of cookware that will last you a long time. There are two major differences. 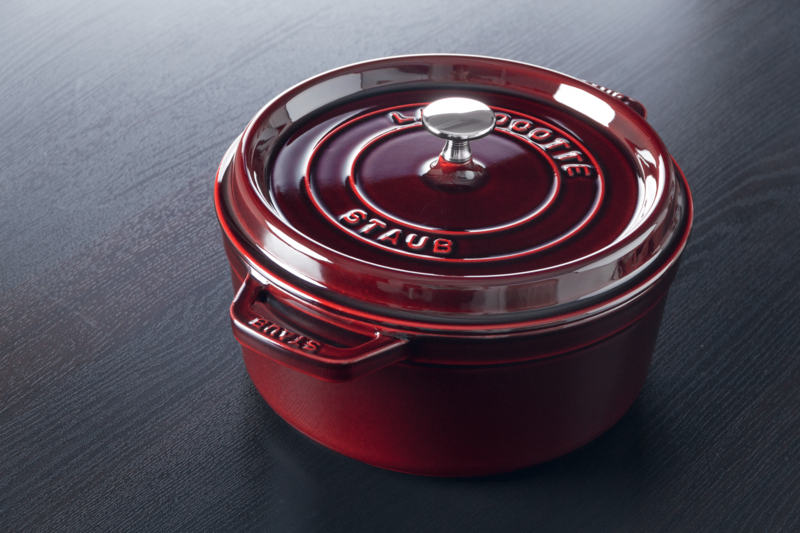 First, Staub products tend to have dark-grey interiors. This doesn’t have a big impact on how you use your cookware, but it does look a bit better over time as you build up a layer of (dark grey) seasoning. On the other hand, it’s harder to make out fond and other small details in your cookware in low-light situations. 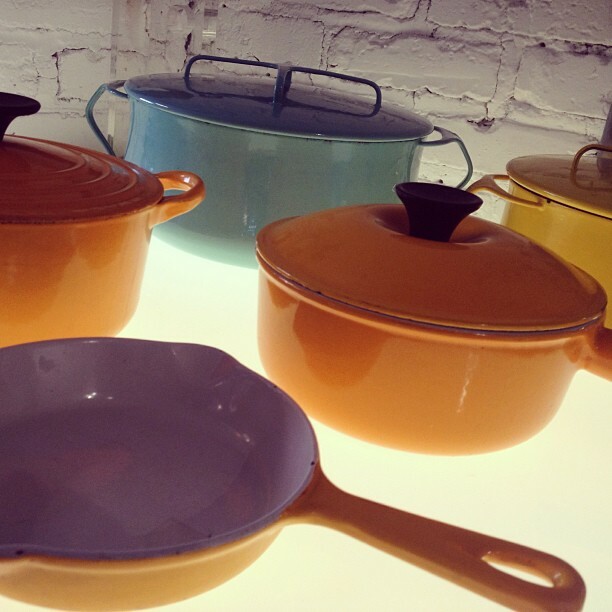 Le Creuset products, by contrast, have bright interiors that make it easier to spot food in. Second, Staub uses metal handles. Le Creuset often does not. Instead, it uses plastic handles that aren’t oven-safe above 375 F with many of their products. Le Creuset seems to know that this is a big design flaw, but instead of correcting it, they sell metal handles separately. Since your primary use for a Dutch oven will be to throw it on a burner or in the oven for quite a while, plastic handles are a pretty big downside. They’ll literally melt. Even the more expensive Le Creuset models have “composite” handles that sometimes degrade over time. Metal handles are (unsurprisingly) much better at handling repeated exposure to high temperatures than even the fanciest modern plastic. Otherwise, Staub and Le Creuset are pretty similar. Some people may claim that there are other differences (Staub says its enamel is rougher, so you can season it more easily, and that it contains more quartz), but none of them are significant enough for you to really notice while you cook. You should base your choice between these two brands on price, enamel color, and handle composition. This cocotte is a great example of a modern Dutch oven. It’s available in several colors and sizes, ranging from 4 to 6 1/4 quarts. It’s shaped very slightly differently than products that are marketed as Dutch ovens, but there’s no difference when it’s used for cooking. In fact, it tends to perform a bit better than many “Dutch ovens” on the market right now. 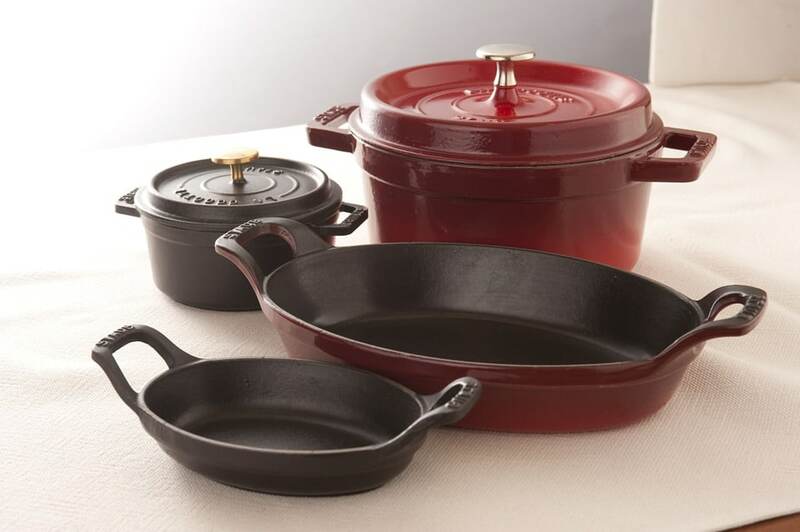 Like many other Dutch ovens, this product uses enameled cast iron to deliver a unique set of cooking characteristics. Cast iron retains heat really well, so it’s great for making the pot heat up evenly over a long period of time. On the other hand, enamel is very resistant to corrosion from acids, so it’s a great cooking surface for soups and stews that use ingredients like tomatoes. While you can cook tomato sauce for a little bit in a cast iron pan, the acid in the tomatoes will eventually begin to degrade even stainless steel if you slow cook them often enough. Staub offers a lifetime limited warranty on all of their products. This doesn’t cover “improper use,” although I’ve heard that they’re fairly generous when it comes to issuing replacements. In any case, the sturdy construction and excellent quality control you get with this product mean that you probably won’t have to use the warranty at all. The lid of this product features little dimples that supposedly help steam condense and rain back on your food, essentially braising it as you cook. This sounds pretty neat in theory, but I can’t say that I’ve observed a difference between this lid technology and regular, dimple-less lids. What you’re more interested in is how well the lid fits, and you’ll find no problems here. Staub’s lids fit nice and tight. As I mentioned before, this product has a slightly rougher dark enameled interior. It’s oven safe to 900 F without the lid off and 500 F with the lid on. It’s an excellent choice for anyone who slow cooks dishes in their oven on a regular basis. This pan is available in a whole range of colors. Be sure to check out all of the options while you order in order to find the product that best matches your kitchen. While this isn’t quite a traditional Dutch oven, this Staub product is a more natural fit in many modern kitchens. 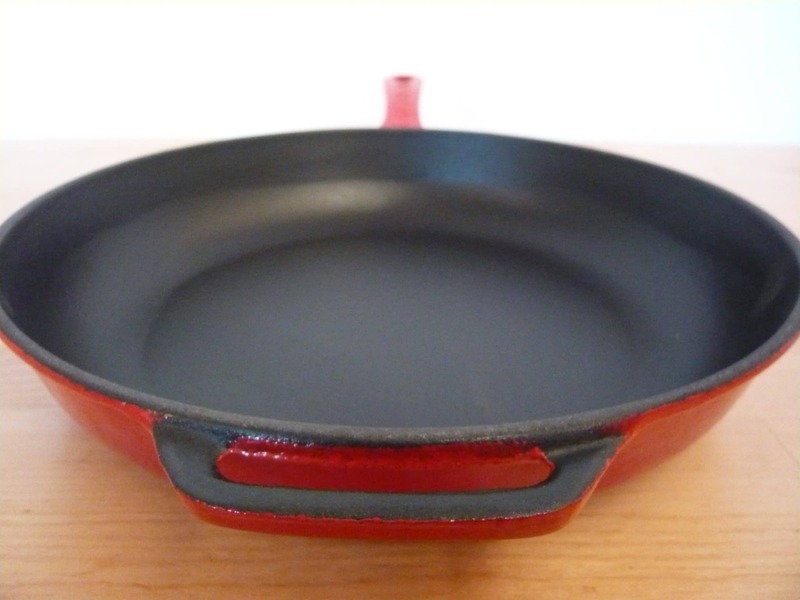 It’s a big cast iron pan with a dark enamel interior and a colorful enamel exterior. This makes it non-stick without the use of any dangerous chemicals like PFOA. Cast iron is becoming more and more popular in cooking circles due to its unique properties. It takes a little bit longer to heat up than materials like aluminum, but once it’s heated up, it does a great job of retaining that heat. This makes it perfect for slow cooking and for keeping your food warm. It’s also great for cooking at very high temperatures, although you probably don’t want to do this with an enameled pot. The Staub Perfect Pan is still great for slow cooking things in the oven. It’s oven safe to 400 F with the lid, which is enough to cook most dishes. If you take off the lid, it’s oven safe to a full 500 F, which is about as hot as most ovens can go. 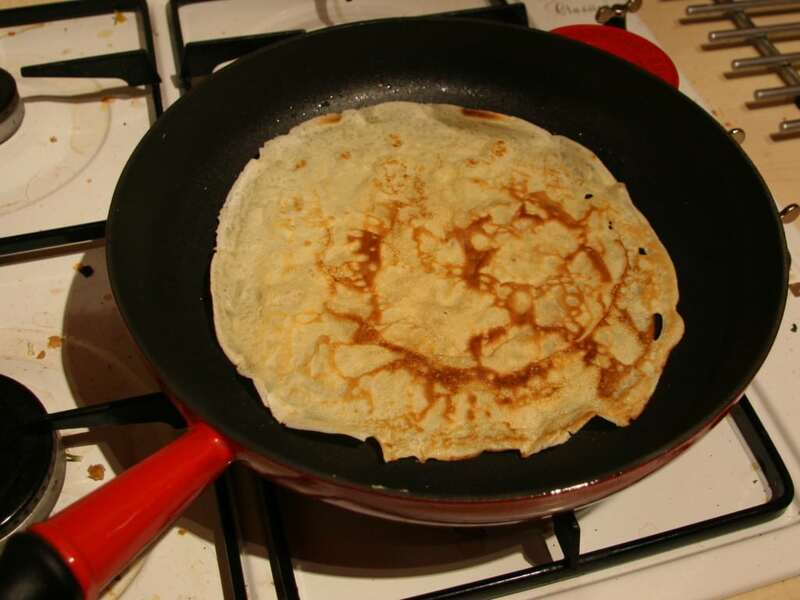 Unlike a traditional Dutch oven, however, it’s perfectly shaped for making pancakes, eggs, and other dishes that you’d use a frying pan for. This means it might get a lot more use in your kitchen. One of my favorite features of the Perfect Pan is the inclusion of a wire rack that fits between the lid and the pan itself. This can be used to steam food, to let food cool, or to simply separate out parts of your dish while you slow cook it. I haven’t seen comparable features from very many other pans. If you want a piece of cookware that lets you perform normal kitchen tasks while offering you the unique power of enameled cast iron for slow cooking, the Staub Perfect Pan is a perfect choice. You’ll get the high-quality Staub craftsmanship you expect in a more modern package that will see lots of use in your kitchen for a very long time. Don’t let the “French” in this product’s name fool you. It’s a normal Dutch oven. 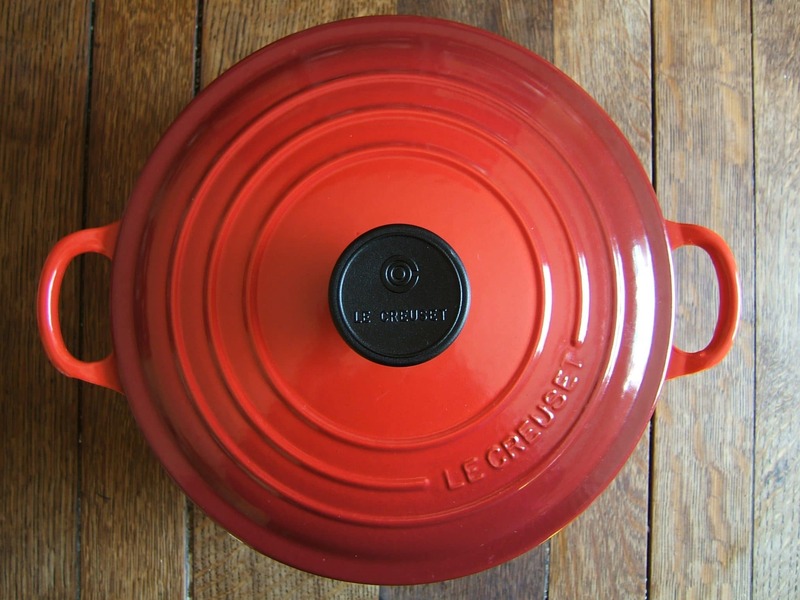 Le Creuset insists on calling its products “French Ovens” for marketing reasons. 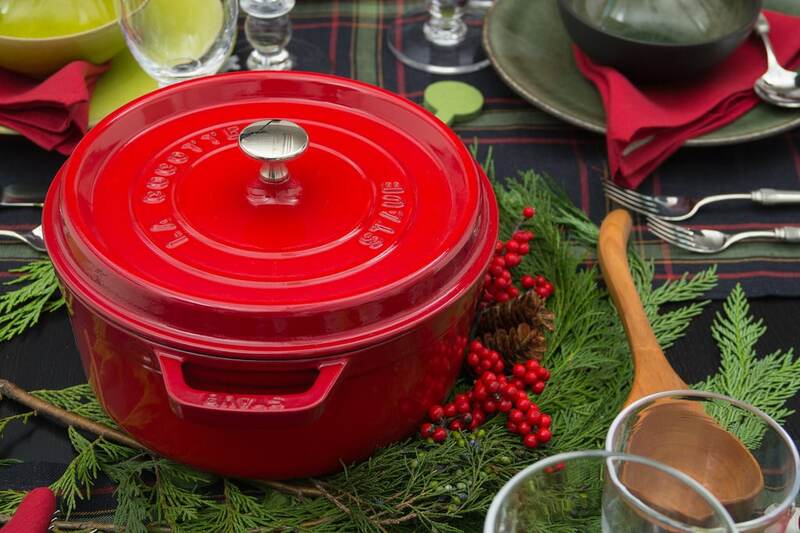 This Dutch oven is available in a variety of colors and sizes. This is a great bonus that will let you choose one that will fit your favorite dish while matching the existing decor in your kitchen. Like all cast iron Dutch ovens, this product is pretty heavy. While this is a downside for moving it around the kitchen, it’s great for slow cooking. All of that heavy cast iron will store heat and transfer it steadily to whatever food you’ve got cooking on the inside. 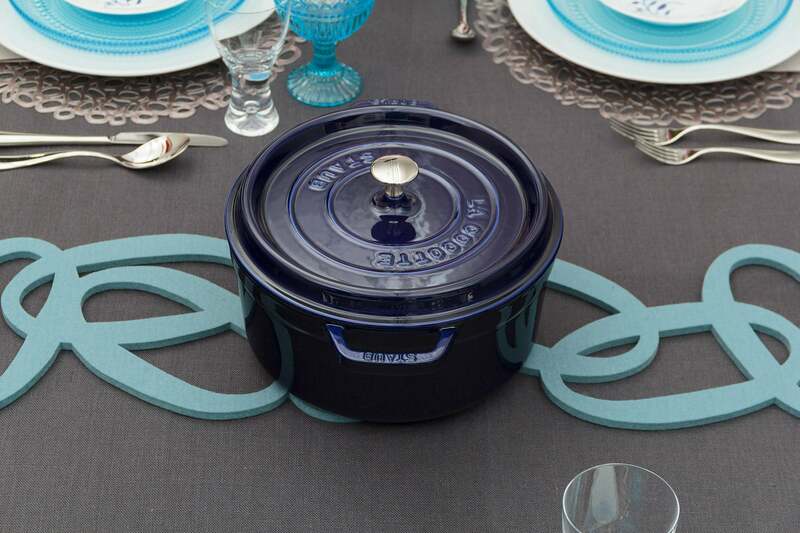 Le Creuset has some pretty exemplary craftsmanship that’s showcased very well by this product. It’s got a well-fitting lid, very even enamel, and won’t chip easily. 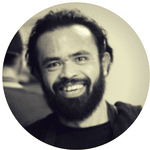 There’s a pretty generous warranty that you can use in the event that you do manage to find a defect, but that might prove tricky. You’ll almost certainly be able to use this product for many years with no issues. The handles on this Dutch oven are made from cast iron, which is a bit of an oddity from Le Creuset. Many of their products feature plastic or composite handles. With this particular Dutch oven, you don’t have to worry about accidentally melting your plastic handles after several hours in the oven. A genuine French Dutch oven like this one is a wonderful tool to have in your kitchen if you enjoy slow cooking acidic dishes often. It’s a great alternative to the Staub above and features excellent design, quality control, and materials. In fact, it may very well be the best Dutch oven available today. If you’ve caught the cast iron bug, you’ve probably read quite a lot about seasoning your cookware. 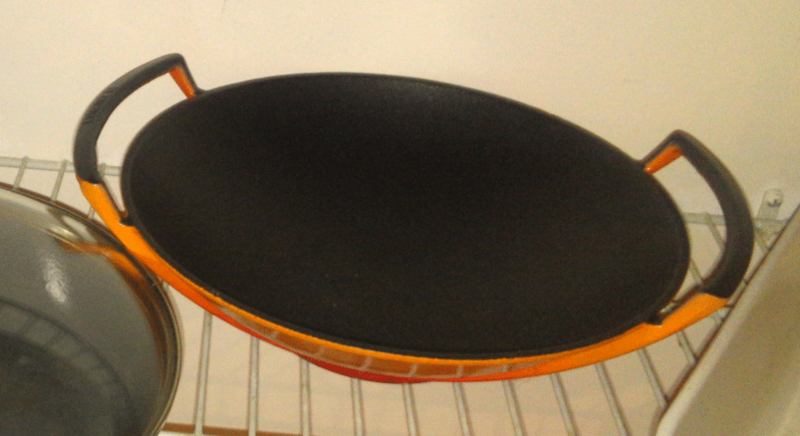 This cast iron pan takes that chore away from you by giving you an enameled cooking surface. 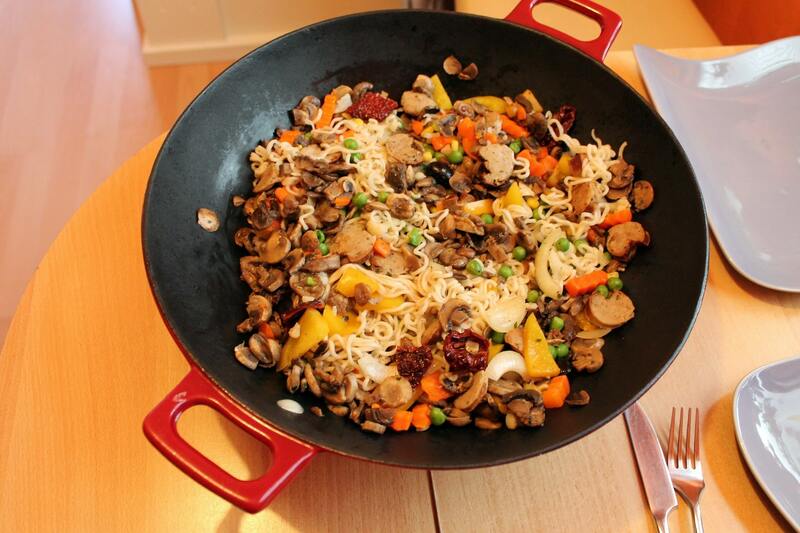 This makes your cast iron pan naturally non-stick without requiring seasoning or using any fancy chemicals like PTFE. Granted, enameled cast-iron isn’t the most non-stick thing in the world. This pan won’t do the same job as a ceramic or PTFE non-stick cooking utensil. You’ll still have to be slightly careful with your cooking temperatures and use a little bit of cooking fat. On the other hand, it’s far more non-stick than a stainless steel pan, and you don’t have to worry about the headache of seasoning it. Cast iron is heavy, retains heat very well, and takes a while to heat up or cool down. This means that this pan won’t replace your regular aluminum frying pan for every cooking job you can imagine. Instead, it’s best for things that require slow, constant heat. For those tasks, however, it’s very well designed. This skillet is a perfect choice for anyone who wants to foray into the world of cast iron without having to worry about seasoning a pan. It offers most of the benefits of a seasoned cast iron pan while being dish soap and dishwasher safe. On top of all of that, you get to take advantage of Le Creuset‘s excellent quality standards and get a pan that will last you for a very long time. Both Staub and Le Creuset make very high quality enameled cast iron products. If you want a Dutch oven or a more general-purpose cast iron pan, you can’t really go wrong with either brand. The primary difference is in enamel color and handle material, although many Le Creuset products can be found with metal handles that won’t melt. All of the products above, including both a Staub and Le Creuset Dutch oven and Le Creuset and Staub cast iron skillets, are excellent choices for almost any kitchen. Both brands offer excellent products with great warranties and lots of durability. Wearever Ceramic Cookware Reviews – Is It The Same As T-Fal? Le Creuset can be a bit pricier but for a good reason. There are also other types of Dutch ovens available in the market for different usages. Just make sure that you know why you are going to buy a Dutch oven and where you are going to use it.